For some reason, I assumed I was receiving 5 skeins of Rowan Felted Tweed (a dk weight) in the mail for a Peasy Cardigan, which I was beyond excited about. 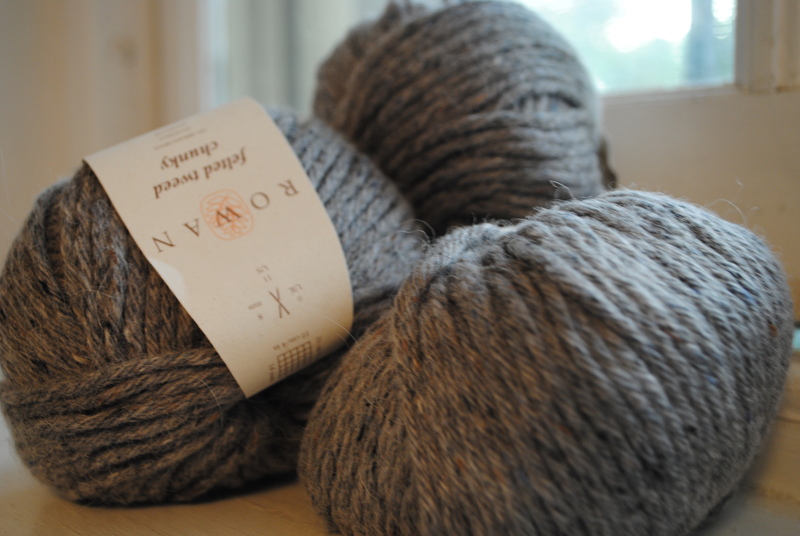 Instead, I ended up with the Rowan Tweed Chunky, which is discontinued. Has anyone else experienced yarn let down before? Sadness abounds. What can I do with some 5 skeins of this chunky? Help. 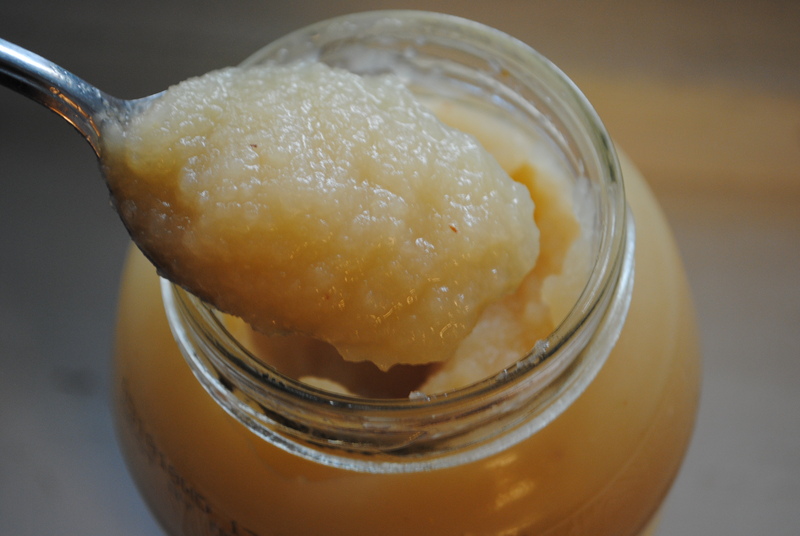 I have this thing for eating applesauce straight out the jar. And one of the perks of living alone is you can do it, anytime, all the time. All natural, no sugar or spice. Deliciously addictive. This will be my 4th year in the current place, so I’ve been doing some sprucing. 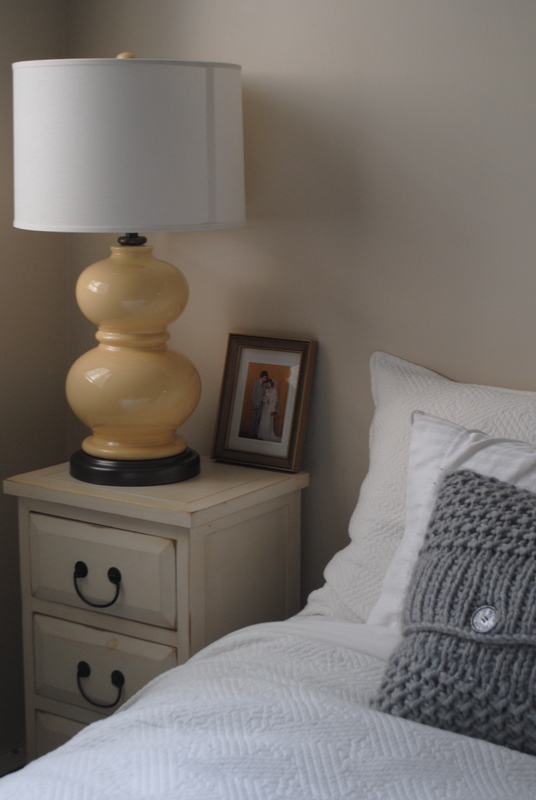 It includes a glorious new yellow lamp for my sparse bedroom. It definitely is an excellent compliment to the white and gray bedding. 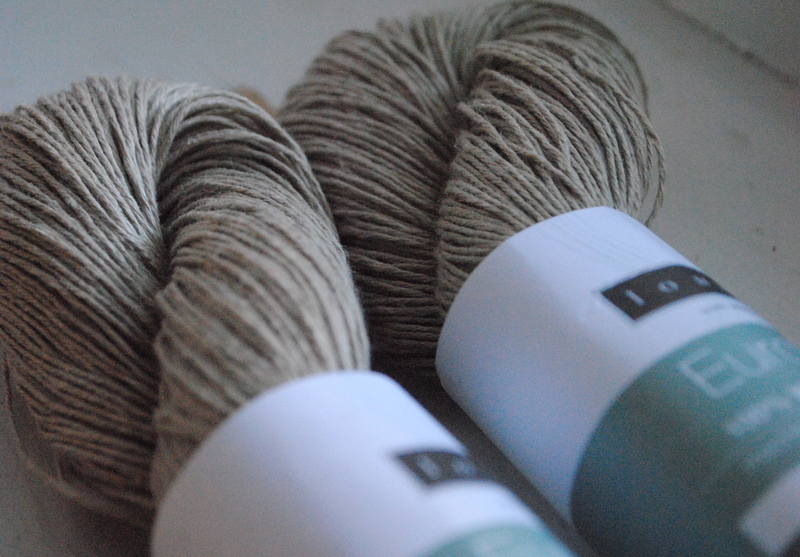 Two insanely gorgeous–and pricey!–skeins of Louet Euroflax linen yarn. 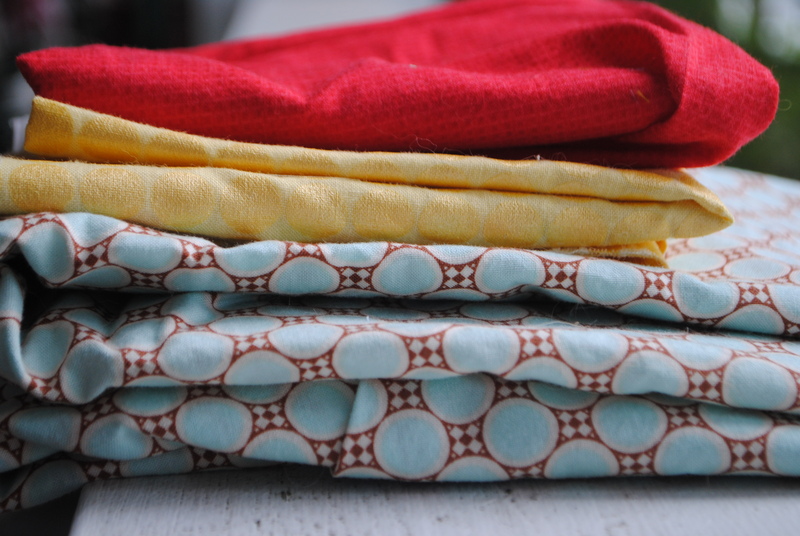 At $24 some odd dollars, I was afraid to break the bank but needed linen desperately for a new project I want to try, and so I went deep for it. 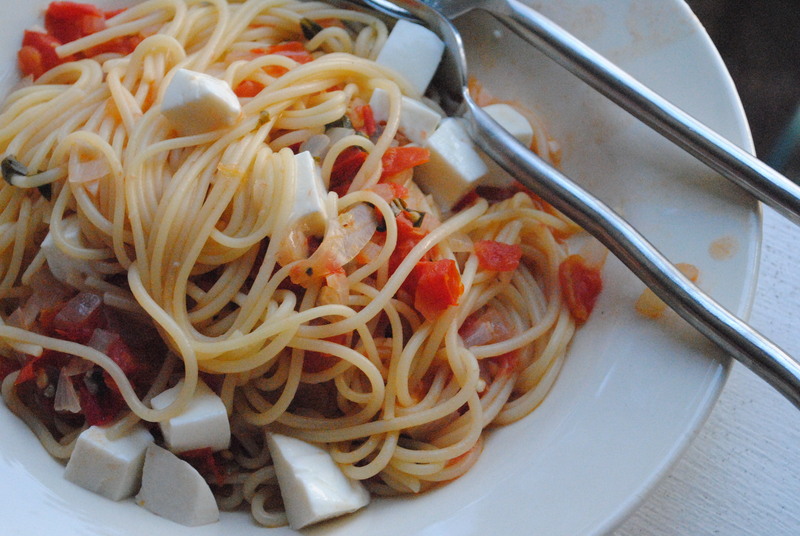 a meal made of mostly items from the garden, like fresh tomatoes, basil, onion, garlic–and a a kick of white wine and fresh mozzarella for excitement. Working with this palette for a sewing project that’s near completion. When fall is near, I start rearranging and organizing. I’ve taken to my bookshelves in an attempt to clean and tidy things up (I’ve acquired quite a few this summer thrown about, not yet finding their place since they’ve been…well, being read). Ever since I saw some set in a magazine where all the books were organized by color and size some handful of years ago or so, that’s just how I’ve been organizing them. I used to do it by author. And in college, it was organized somewhat autobiographically so I could remember what I was reading when. 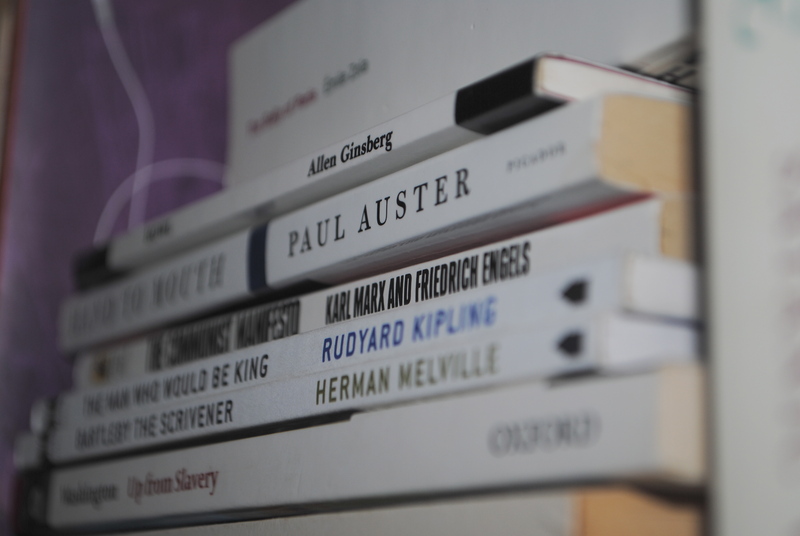 How do you organize your bookage in shelf? It’s about that time…back to slogging in work every day. 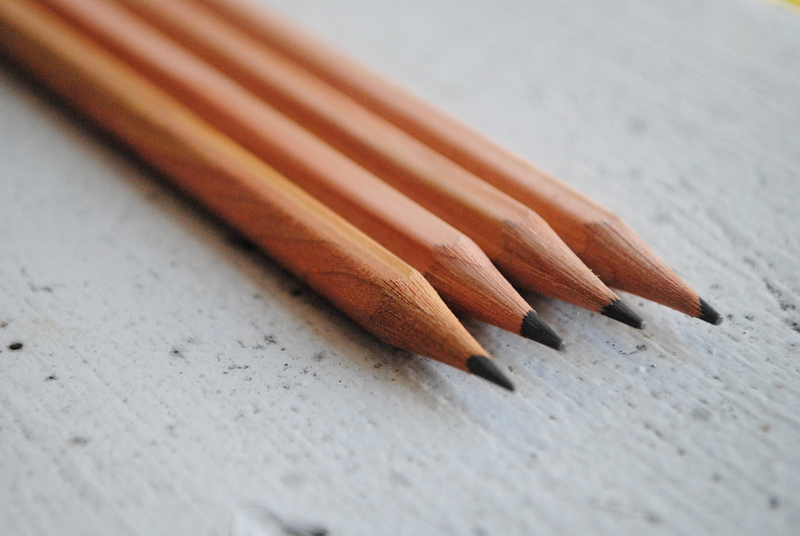 So I’m sharpening. The kids always steal them no the matter. 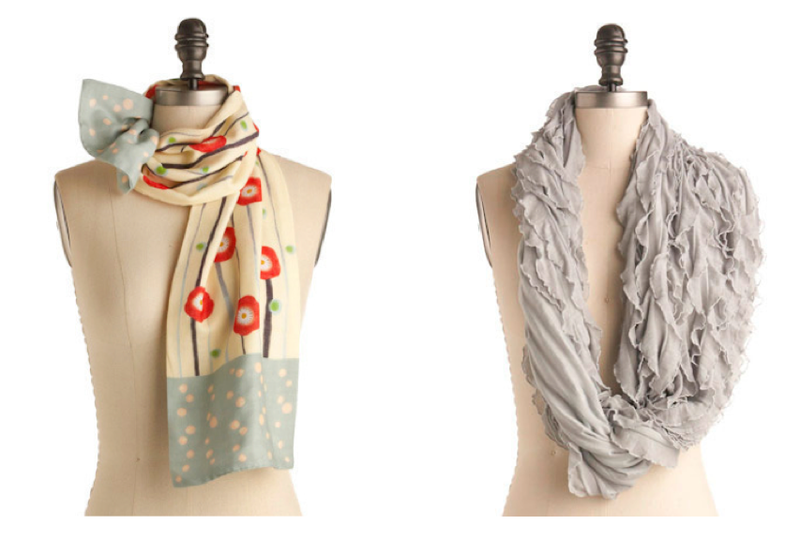 How badly do I want these gorgeous scarves from my favorite shop ModCloth? I think they can be classified as must-haves, for sure, to pump up my generally simple wardrobe. They are both a reasonable $25. Squeal like a little girl. 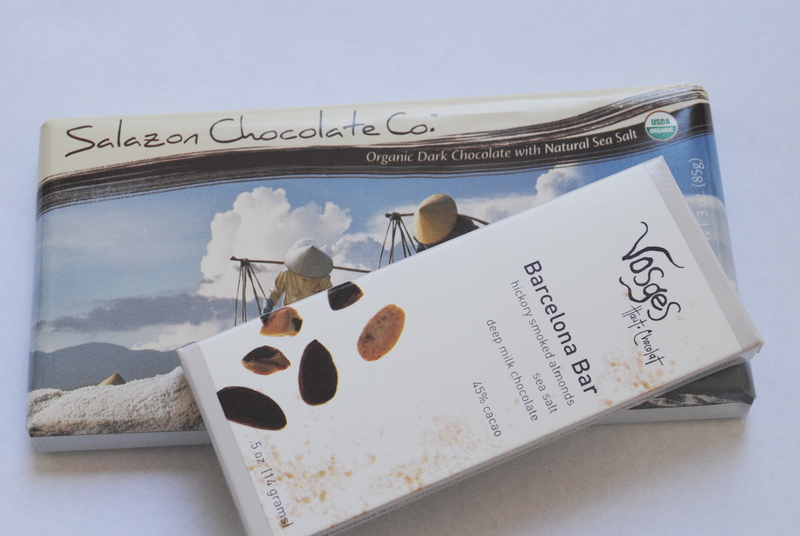 If you’ve never tried dark chocolate with sea salt in it, don’t wait any longer. Scurry now. The combination of rich sweet and savory salty will knock the socks right off your feet. reader request: from my purse. A reader asked that I dump out the contents of my purse; I was confused; after a few clicks, I realized, apparently this is something other bloggers do. And so I’ll oblige for the request series. My purse is vintage Coach, purchased for a measly some odd dollars on Etsy from YokohiYoko–a brilliant thrifter living in New York–in mint condition. In case you wondered, though I’m not into handbags and this is really the only one I use on the reg., minus my work tote. 1. One of my many ipods–depending on the trip, I like my 160 gig-er because it has thousands of tunes, as well as all the podcasts I listen to (its many) and books, too. 2. Crumpled pieces of paper with notes on books I want to buy. I make a lot of frequent and impromptu stops at bookstores–its good to have a list on hand for those moments of spontaneity. 4. Darning needle and leftover yarn–often the result of finishing a present for someone on the train ride over to meet them. I can be last minute, a lot. 5. 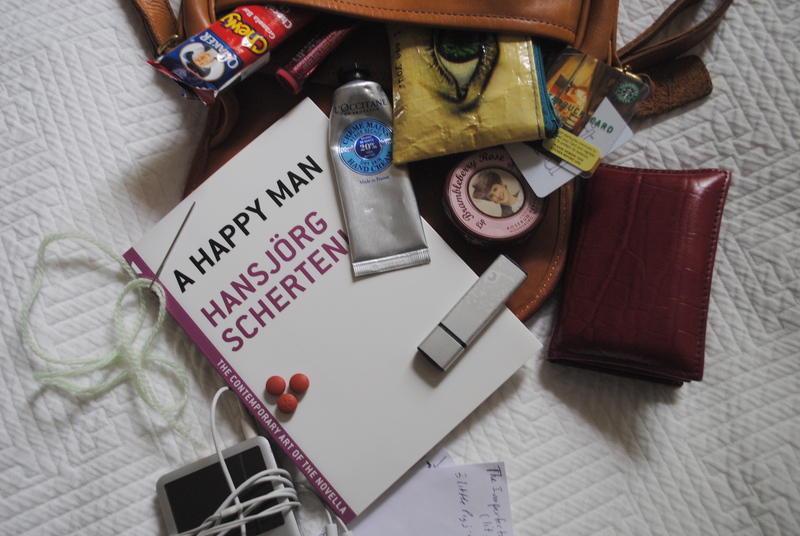 Reading material small enough to fit my small bag; lately its Hansjorg Schertenleib’s A Happy Man. 6. A jump drive because I’m a nerd. You never know when you’ll need some files. 7. Wallet, of course, to spend the monies. 8. Rosebud Smith’s Brambleberry Rose lip salve. Incredible looking, incredible tasting, even better smelling. 9. L’Occitane Shea Butter Hand Cream. The smell is as clean and gender neutral as Dove White, that’s why I adore it. Plus, I have chapped hands a lot. 10. Gift cards for things like yarn, books, and coffee. See #2–you never know! 11. Eye See You recycled pouch filled with little odds and ends for road knitting. 12. Lip Smackers Dr. Pepper lip balm. It’s the best flavor, plus it gives a tiny hint of color. I don’t wear much makeup, so this is the perfect non-lipstick lipstick around. Bonnie Bell used to do a big road race in Boston for women–and every participant got free products. Indeed, an amazing company. 13. Granola Bar. I constantly love a snack. This saves me when eating isn’t possible and I’m starved for a small bit. 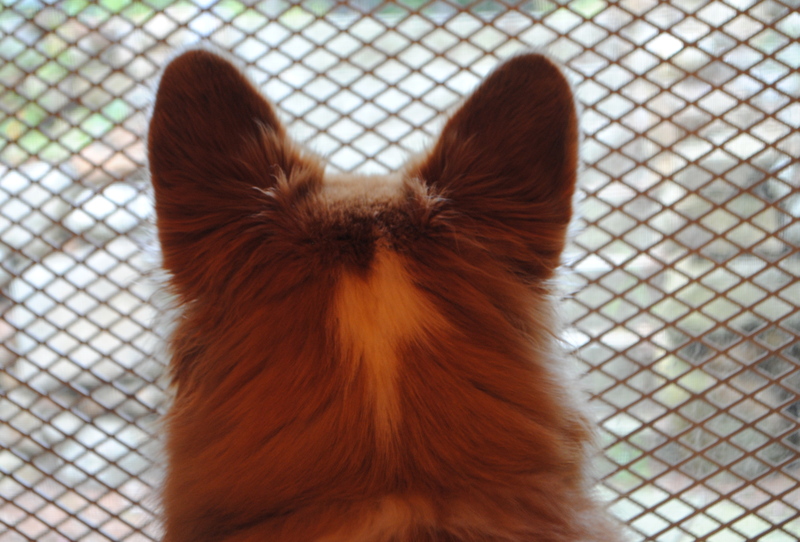 Sir Winston Churchill loves to look out the screen door in search of chipmunks, and his neighbor friend, Irish Wolf Hound Kendrick, who looks like a small pony. A sight to see next to my little guy Win.